I can't remember when was the last time I had a good night's sleep. Ever since the pregnancy test kit turned out positive, I think I have forgotten what it means to sleep through the night. When you are pregnant, you have to deal with the big tummy, the frequent need to pee, the bloating, cramping and backaches. As a breastfeeding mum, you have to get used to the notion of midnight feeds, which might happen one or two hourly, and that can be exhausting. Even at the toddler and preschooler ages that my kids are in right now, I am very accustomed to them waking up in wee hours bursting out in tears, in need of coaxing and reassuring hugs, or hunting frantically for the toilet. On some occasions, I discover wet pyjamas and wet sheets, which just means I have more work to do in the middle of the night. Basically, one way or another, they just need Mummy. Me as a first-time mum with Baby Angel. I like to keep her close to me when we sleep and know that she is safe. Call it paranoia but as a mother, I sometimes wake up and peek at Ariel, followed by check in Angel's room just to make sure everything is fine. It's like an instinct somehow and I just wish to make sure that my kids are safe and well. The first moment I hear crying and screaming, I will jump up instantly and after all the commotion, it usually gets very hard for me to fall back to sleep even when the house regains its peace. Sometimes, I get envious of the hubby who can lie on the bed and enter dreamland faster than I can say "Good night, dear". If only, if only, falling asleep and having a good rest can be as easy as counting 1-2-3. Wait, I don't even mind counting to 100 if it works. The thing is, it doesn't. Not for me. Me as a second-time mum with Baby Ariel. 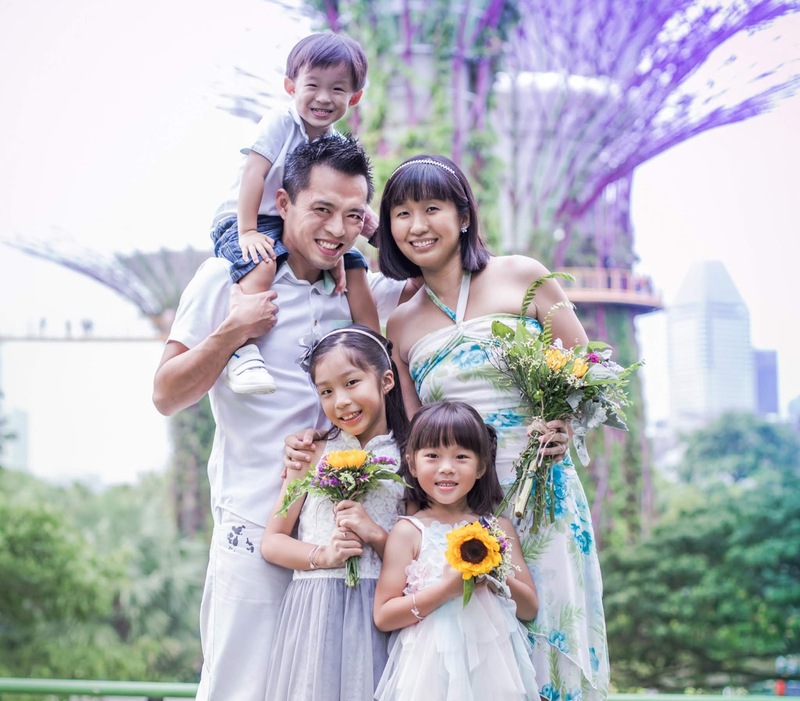 With more kids, sleep gets even less, especially when both kids like Mummy to put them to bed. When I was asked to review the Happy Sleep Sound Pillow, my first thought was "Yay! I need new pillows! ", second was "Happy Sleep sounds like a perfect match with Happy Mum" and third was "Maybe, just maybe, these can help me get a better night's rest". What do you do to make yourself fall asleep in bed? Count sheep? Fantasise? Play games? Empty your mind? For me, the one thing I used to like doing before the kids came along was to listen to music on my phone or MP3 player. I'm not into blues, country or classical music, but give me some bossa nova or pop songs and I will be happy. After becoming a mum, it just didn't seem very practical to have earphones and mobile phones on the bed because they are just toys and distractions to the kids who will yank the wires off and start tapping and scrolling on the phone screen. So, I kind of gave up the idea of listening to music. Until now. The Happy Sleep Sound Pillow helps people with sleep disorders, sleep problems or insomnia to get a good night's sleep and, get this, it lets you listen to your favourite music without the need for earphones. Thanks to the innovative bone conduction technology, nobody will be disturbed by the sound because you are the only one who can hear it. 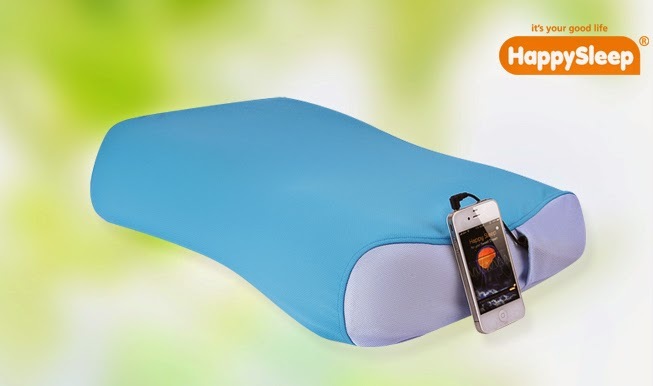 Now, you can connect the pillow to your smartphone, MP3 player, or even radio and laptop, and listen away without letting your partner or kids realise that you are actually listening to music. With bone conduction speakers that transmit the sound to your ears only, it is proven to be as discreet as can be. After you hide the phone and wires, of course. 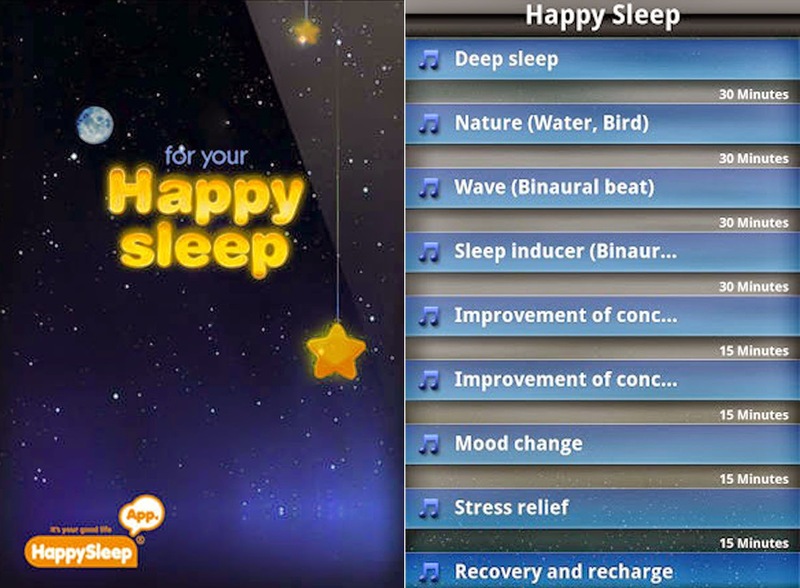 If you like to listen to sounds of nature or binaural beats, you can also download the Happy Sleep app. With every purchase of the Happy Sleep Sound Pillow, you will receive an authentication code and once you key the code into the app, you can adjust and listen up to 30 minutes for every sound category. In addition to perceived benefits of deep sleep inducement, concentration improvement, mood change, stress elimination, the app also allows you to set alarm, record snoring, track tossing and turning, and monitor your sleep pattern. While I like the many functions it offers, I feel that the app is fairly simple and can be improved in terms of appearance and user-friendliness. On a personal level, I actually prefer to listen to the radio, usually Yes 93.3FM, and drift into sleep with ballads from Jay Chou or Stefanie Sun. Make a guess why Angel was smiling? Well, "Let it go" was playing and she was amazed that a pillow could emit sound. No, I am not saying or encouraging you to let kids listen to music before they sleep, it was more for fun and to de-stress after a day of sweat and play. Did the hubby get some happy sleep on the pillow? I sure think so. Wait, we received not one, but two pillows? 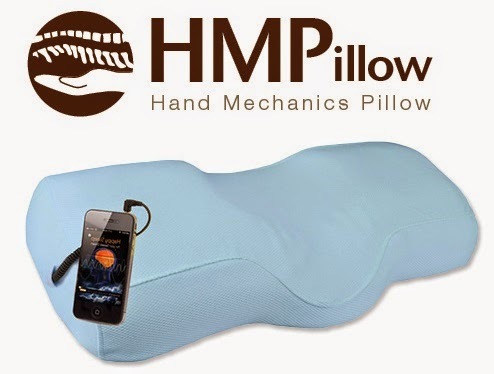 Yes, thanks to the generosity of Tadgets, we got to review the Hand Mechanics Pillow too. With its human engineering design, the Hand Mechanics Pillow is a functional pillow that can maintain an angle of 35-45 degrees for the C-shaped spinal line and distribute the pressure applied to your head. It is said to be able to relax your neck area and maintain the optimal position of your spine in order to improve the quality of your sleep. I initially thought that this would suit the husband better because well, let's face it, he works much harder than me in earning a living and I assumed he would be more prone to neck aches. However, he tried it and decided he was more fond of completely soft pillows, hence the inclined spine holder which juts out a little in this one did not work for him. On the other hand, I tried it and thought the shape fitted perfectly for the contour of my head and neck. Considering how much time I spend doing the chores and blog in front of the computer every day, I guess it is fair to say that my body deserves some relaxation every night before the cycle starts all over again. 1) Are the pillows comfortable? I will say yes, definitely. 2) Can you hear the music no matter how you position your head? I think it's best heard when you sleep sideways. You can control the volume on your phone to make sure it is to your preference. 3) Should I be concerned about radiation? The pillow does not emit radiation. It is a passive product and purely transmits sound via bone conduction speakers. 4) Does listening to music really soothe one to sleep? It depends on the individual but it certainly helps me to wind down. 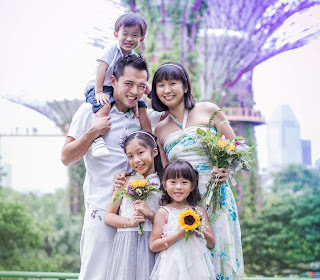 While it remains a dream to be able to sleep through the night, or better still, sleep peacefully even when the kids are beside me, at least for now, I am looking forward to a relaxed, comfortable and good few hours of sleep every night. 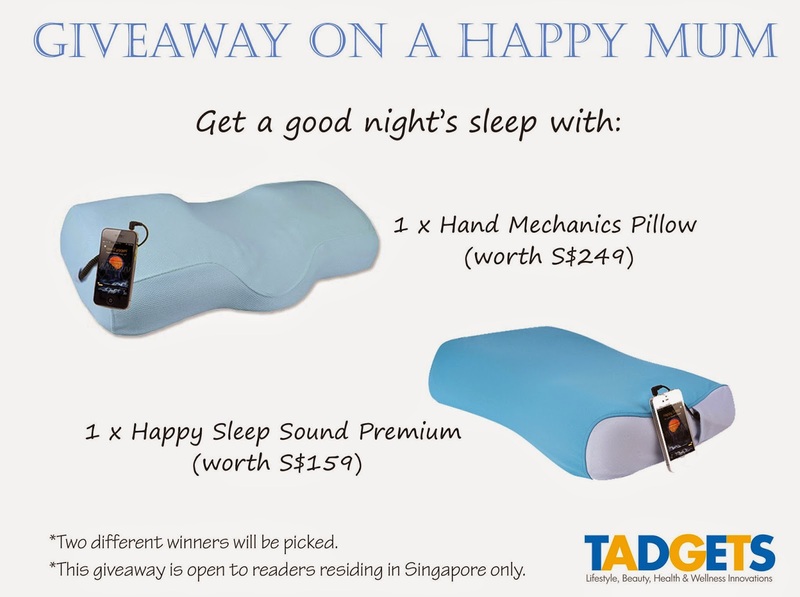 Get a chance to win a Mi 3 Android smartphone or one of five $20 Takashimaya vouchers with every purchase of a Happy Sleep Sound Pillows (Premium) or Hand Mechanics Pillow. 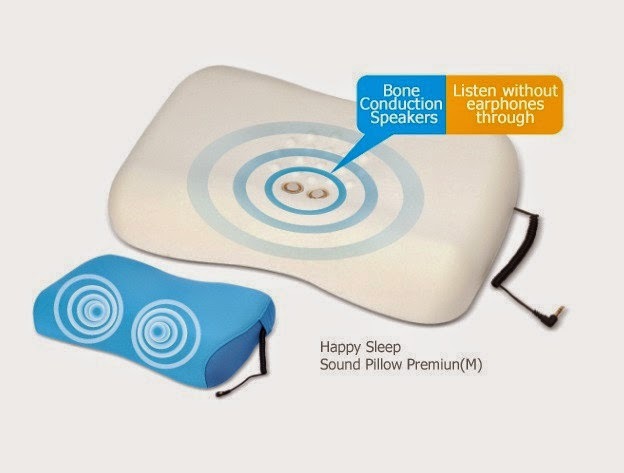 Each Happy Sleep Sound Pillow or Hand Mechanics Pillow also comes with a free MP3 player worth S$30! While stock lasts. This promotion is opened to Singapore, Malaysia and Brunei residents and ends on 30 Jun. For more details, go here. For those of you who are keen to try out these pillows, A Happy Mum is now giving away ONE Hand Mechanics Pillow (S$249) and ONE Happy Sleep Sound Premium (S$159) to two lucky readers! All you have to do is to leave a comment in this blog post, click on the Rafflecopter widget to indicate you have done so and leave behind your name and email address. To increase your chances of winning, you can choose to carry out the rest of the options. This giveaway is open to readers residing in Singapore only. Two winners will be picked, first person selected will win the Hand Mechanics Pillow and second will win the Happy Sleep Sound Premium. For all A Happy Mum readers, you can now get to enjoy a 10% discount when you purchase any Happy Sleep pillow from www.tadgets.com. Simply enter the code "AHMHAP" when you check out. Disclosure: We received the Hand Mechanics Pillow and Happy Sleep Sound Premium for the purpose of writing this review. All opinions are my own. I would love such a pillow as it would help in my new trial that I will be carrying out with the kids on positive affirmation. Happy mum blog is wonderful. Thank you for the lovely giveaway!! I'm really need a good night sleep. Oh cool, I have never seen the pillows before till now. Oh wow, seems like a lot of us can do with a good night's sleep! I hope you get yours soon, Lorna! =) Thanks for joining! So cool! I need this too! Kudos to your awesome blog and giveaway! This sounds like fun! Wow a full night of sleep. What on earth does that feel like?! Hubby would love a pillow like this. Then again, maybe I need it more to drown out his snoring! Thanks for sharing this great product! this is way too cool! no wires in the way! Thanks for sharing this pillow. SAHM wt 2 young babies! I would love to try this pillow! So exciting!! Looking forward to some sound sleep! I hear you. Have not had a straight 8 hours sleep since first pregnancy and now I'm in my 2nd! So at least some music before dozing off is a nice trade-off. Hope to win this as I need a good night sleep while all the kids is sleeping. Thanks for introducing me to these pillows! Little did I know the best way to battle insomnia is with a "pillow fight". The neck support looks awesome too. The bone conduction technology sounds amazing and I would LOVE to use it to listen to my music and set my alarm as well! That way the little light sleepers would not wake every time my alarm clock rings and give me a hard time when I have to put them back to sleep! I'm not a mom but I do enjoy reading your blog (stumbled on your blog researching Europe trip and you had one girl then ^_^). Thanks for this giveaway! I would love to win this for my wife who is pregnant 5 months now so that she could have a good night sleep. Sounds like a great pillow! I would love to own one! I so want to have to good night's sleep! The pillow sounds amazing!! I love to hear the sounds of waves and sea creatures :) With this pillow, I can have that and a really peaceful sleep. This seriously will help me with my sleep for sure now! Thanks for providing to win this awesome giveaway ! Congratulations to the winners of our Happy Sleep Pillows. We are sure you are enjoying the pillows right now. For AHM readers, you can buy a Happy Sleep with a 10% discount (code: AHMHAP) at http://www.tadgets.com/collections/happysleep. We have a 30 days return policy.